We are happy to report that all of our students made it out of the Spookers Haunted House safely on Halloween night. On October 31st a large group of LSI students ventured out to the Spookers 'Scream' Park located south of Auckland in an abandoned (and some say haunted) Kingseat Psychiatric Hospital. 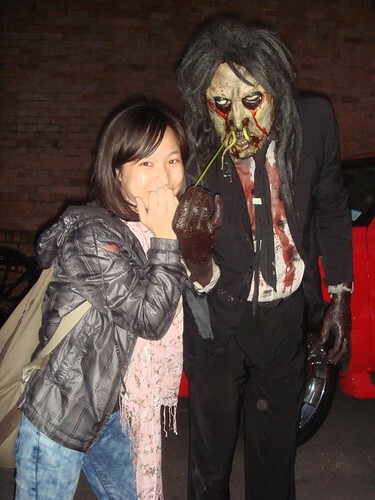 It holds the title of #1 haunted attraction park in Australasia. The students had a great time even though it was very frightening. They went into the Haunted House, Freaky Forest, Disturbia and Claustrophobia. Some were even talking about going again!